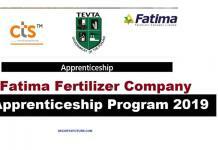 Fauji Fertilizer Company FFC Internship 2019 is 4-6 weeks internship with a monthly stipend. Fauji Fertilizer Company Limited (FFCL) Pakistan is one of the leading industrial establishment of the country has always strived to contribute in the education of our children through regular technical/ general training Program. 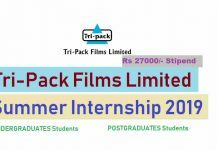 FFC internship allocation criteria is strictly merit-based, according to which top students are selected for FFC sponsored internships (with stipend). In Order To Apply For Fauji Fertilizer Company FFC Internship 2019 All relevant instructions and step by step guidance is provided on the portal to facilitate applicants. To facilitate institution/ students for timely application, we have automated our internship function. Fauji Fertilizer Company Limited Pakistan are inviting online applications for FFC internship 2019 on “ FFC Career Portal”.You can Apply by clicking the Apply now below. 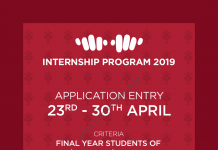 In order to get selected for FFC Internship 2019 and correctly formulate FFC INTERNSHIP merit, students may be advised to fill up all necessary details including Matric/F.Sc/Bachelor degree marks & submit their latest CVs/Resume.